Every time Ms. Ranieta joined any newscaster competition, most of her friends wouldn’t even think of Ranieta going back home with no trophy at all. Yes, this August 93-born really has her own X-Factor when it comes to broadcasting field. 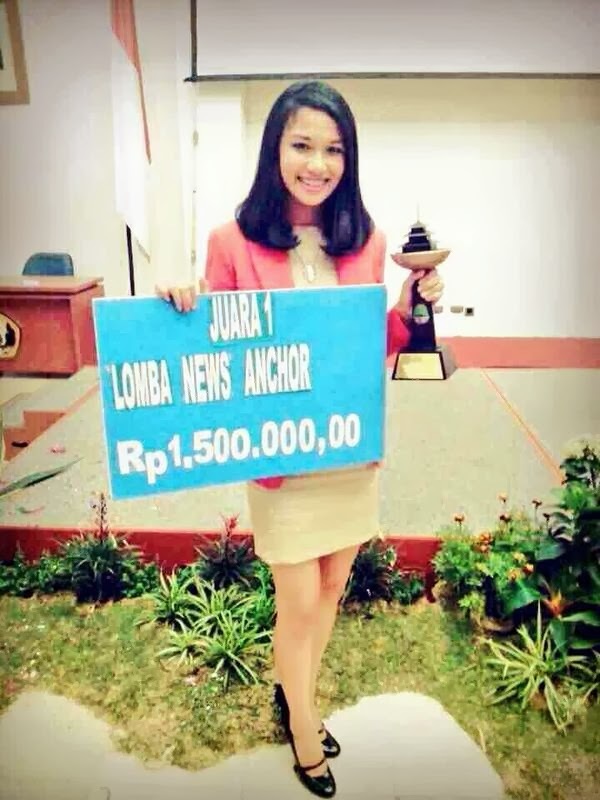 Last November she made it to be the winner in News Anchor Competition at National Protocol Fair 2013, Bandung. Her struggle by rehearsing everyday with her fellow TV Club was paid off by the result. 1st Runner Up News Casting Competition at Communication Festival, Pelita Harapan University. 1st Runner Up News Casting Competition at UMN (Universitas Multimedia Nusantara). 1st Runner Up at SCTV Goes To Campus 2013. Keep up the good work, Ms. Ranieta!